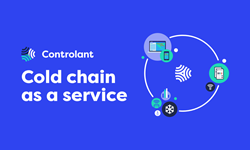 Controlant, a leading provider of supp ly chain visibility solutions and services for the pharmaceutical, cold chain logistics, and food and beverage sectors, today announced the appointment of two new members to its Advisory Board. Philippe Hemard and Chris Scoggins bring decades of experience in supply chain logistics and enterprise technology to the company’s leadership team. Their input is expected to play a valuable role as Controlant continues to scale its operations, develop next generation technology, and enter new markets.